Electronic Court Filing is Mandatory in Lake County, Illinois. Make sure that you file your papers the right way by using CourtFiling.net. 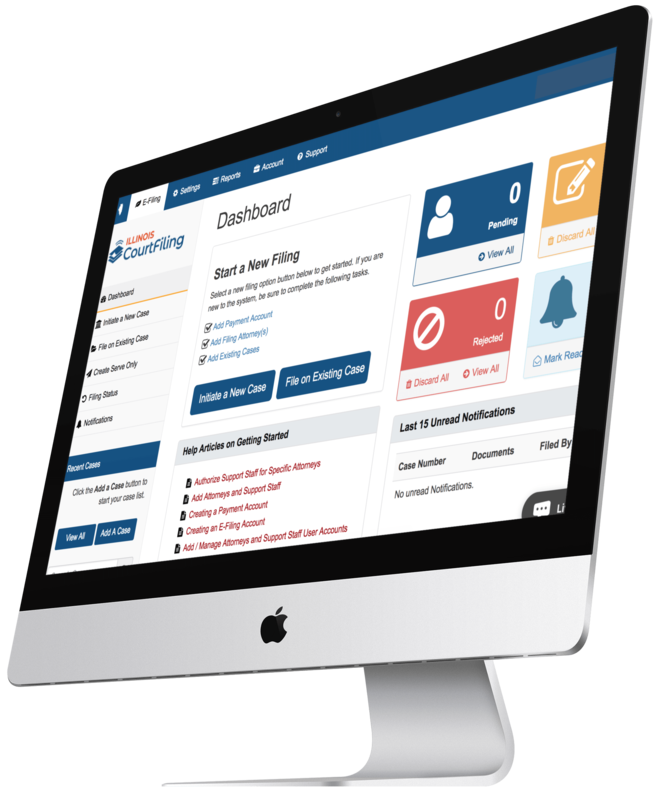 CourtFiling.net was created to make eFiling easy and user-friendly for legal support professionals, law firms, and private individuals in Lake County, Illinois. CourtFiling.net works alongside the Lake County, IL court system to file your legal paperwork directly into their system without having to visit the courthouse. *Please note that the Lake County Clerk is not affiliated with CourtFiling.net. CourtFiling.net is an electronic court filing platform that allows you to digitally submit your legal paperwork into the Illinois court system. CourtFiling.net can convert your documents into PDFs (the required format), provide detailed reports, case summaries, and file stamped documents on top of electronically filing your paperwork. CourtFiling.net has a clean dashboard where you can see an overview of the status of your documents. Perfect for law firms with mulitple attorneys and support staff. Ideal for solo attorneys and their support staff. Great for self-represented litigants and out of state attorneys. *One month free trial period is for CourtFiling.net service fees only. Any court filing fees and court e-filing service and processing fees still apply. © Copyright Illinois CourtFiling.net. All rights reserved.